Making your own flavored salt is quick and easy. Store in an airtight container in a cool, dry place for up to 4 months. Use to season meat, poultry, fish, vegetables or pasta. It’s also great for holiday gift giving! 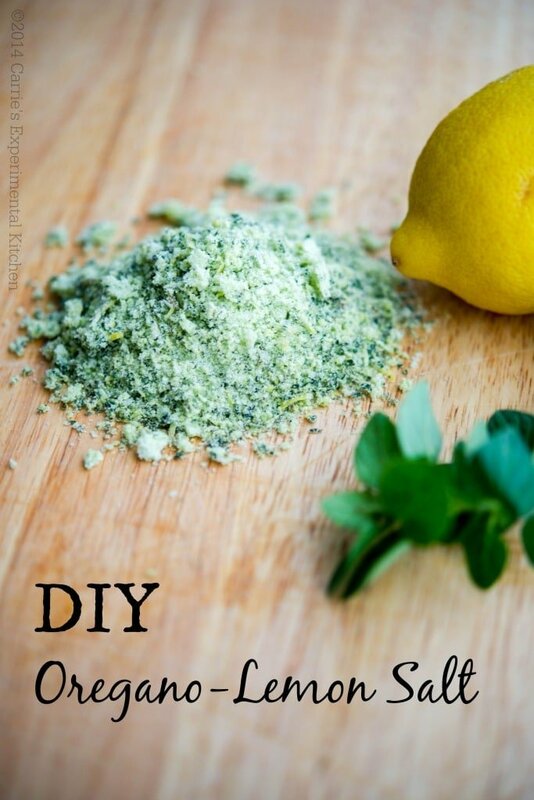 Making your own seasoned salt like this DIY Oregano-Lemon Salt is quick, easy and adds wonderful flavors to your recipes. I was flipping through a magazine recently and came across a recipe for DIY Basil Salt. It was pretty self explanatory; though I never thought of making it myself. I had just clipped the last of my fresh oregano from my little herb garden and knew that adding some fresh lemon zest to the mix would taste great on a roasted chicken. AND…I was right! This recipe only takes about 5 minutes to make; however, you need to let it air dry for about 24 hours before storing it in an airtight container. Once stored, you can save it up to 4 months in a cool, dry place. 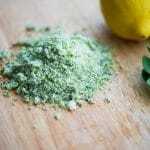 Use this Oregano-Lemon Salt on meat, poultry, fish, pasta or vegetables. Anywhere you want those fresh Mediterranean flavors to shine through. Making your own flavored salt is quick and easy. Store in an airtight container in a cool, dry place for up to 4 months. Use to season meat, poultry, fish, vegetables or pasta. 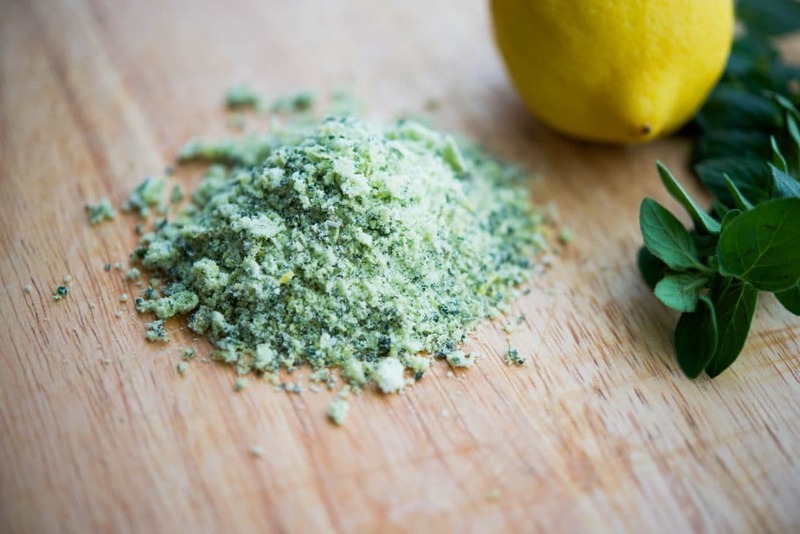 Add the salt, oregano and lemon zest to a mini food processor or blender and pulse until the oregano is finely chopped. Remove the mixture and place on top of parchment paper. Flatten the salt and allow to air dry for 24 hours before putting it in an airtight container. What DIY Seasoned Salt are you going to try first? Don’t ever miss a post again! Sign up today to receive an email delivered directly to your mailbox every time Carrie’s Experimental Kitchen creates a new recipe. 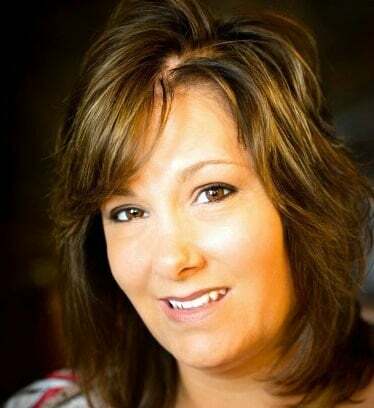 Great post, Carrie! I can’t wait to try one of the endless possibilities!